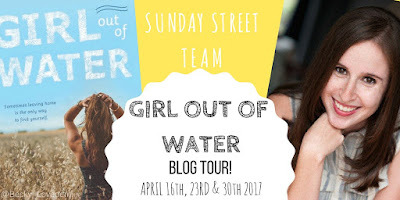 Welcome Fellow BookDragons to my stop on the Sunday Street Team Blog Tour for Laura Silverman's Girl Out Of Water! I don't think I've mentioned it here before (WHAT?) 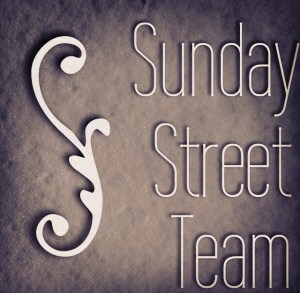 but I'm a CO-HOST for the Sunday Street Team along with the lovely Helena, blogger at Book Nerd Addict. The BRILLIANT Nori from Read Love Write 28 picked us because school has gotten to be a LOT of work and it has been brilliant chatting with both of these AMAZING bloggers! Blurb Description: Anise Sawyer plans to spend every minute of summer with her friends: surfing, chowing down on fish tacos drizzled with wasabi balsamic vinegar, and throwing bonfires that blaze until dawn. But when a serious car wreck leaves her aunt, a single mother of three, with two broken legs, it forces Anise to say goodbye for the first time to Santa Cruz, the waves, her friends, and even a kindling romance, and fly with her dad to Nebraska for the entire summer. Living in Nebraska isn’t easy. Anise spends her days caring for her three younger cousins in the childhood home of her runaway mom, a wild figure who’s been flickering in and out of her life since birth, appearing for weeks at a time and then disappearing again for months, or even years, without a word. Family + Surfing + Skateboarding + Romance + Summer = The PERFECT Recipe for a GREAT BOOK. I was SO excited to read Girl Out Of Water because a) IT’S SUMMER AND WHO DOESN’T LOVE A GREAT SUMMER-Y READ? And also b) IT’S A SUMMER-Y READ. 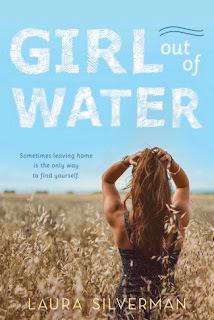 In a nutshell, Girl Out Of Water is one of the best contemporary books I’ve read all year because it focuses on MORE than just a romance but all things family, surfing and life. 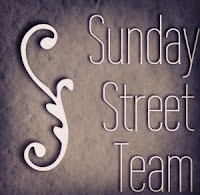 · THIS WAS ALL ABOUT FAMILY. I’m always upset when families don’t have a strong enough role in YA Contemporaries (HELLO. They’re LIVING with their parents – how are they never around/ given permission for everything?) but Girl Out Of Water was nothing like that. I loved EVERYONE is Anise’s family (except her mom) but especially her dad. He gave Anise her own space, was there when she needed him to be (WITH FOOD SO BONUS POINTS) but most importantly, he treated her like an adult. SO REFRESHING AND I LOVED IT. · Another thing I LOVED about this was how this book really got into Surfing and Skateboarding. I could never do either (even though the water feels like I second home to me – I’m a swimmer) but I LOVED THE FACT THAT IT WAS THERE AND SUCH A BIG PART OF THE PLOT. · This book wasn’t PREDICTABLE (YAY!). I thought Anise’s mom would come back – she didn’t. I thought she would get in trouble for leaving with Lincoln on a day trip but it wasn’t blown out of proportion. I was JUST SO GLAD it didn’t follow the norms books usually do. A MUST READ book for this summer. It has all the things you need – cute boys, diversity, beaches, family, surfing and most importantly FOOD. GO READ IT! 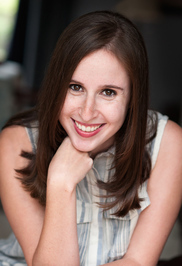 Laura received her MFA in writing for children from the New School. She loves books and dogs—okay, and quite a few people too. She currently lives in Atlanta, Georgia. You can say hello on Twitter at @LJSilverman1. Are you into sports? If you had to be a surfer of a skateboarder, which would you pick? 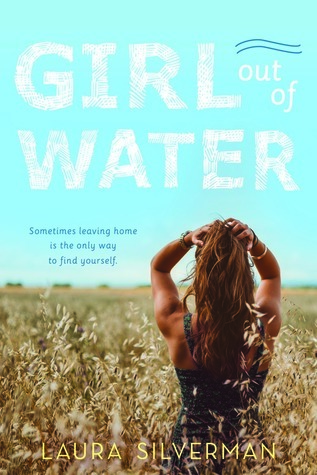 What do you think about Girl Out Of Water?